Chibiko Ikenna Offorhttp://www.therepublicannews.netA trained scientist and fictional story writer. A republican by all definition and an advocate of youth leadership in politics. Tough conversationalist, debater, and a musician by nature. I love to bring to the audience some hard stories that could be considered controversial but good enough for much-needed debate. Social debate must always be in the front burner to help harness social justice. 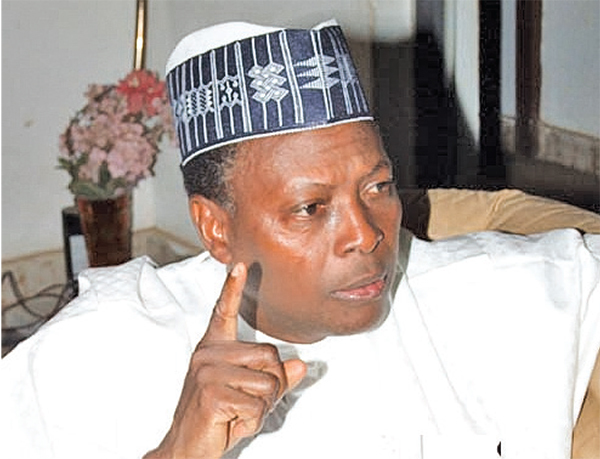 CONTROVERSIAL Second Republic member of House of Representatives, Dr. Junaid Mohammed, has said that the North will present a candidate for 2023 presidential election, as zoning and rotation of power have collapsed, and as such any region with the political strength can claim the coveted position. In an interview with VINCENT KALU, Mohammed asked the Southeast to forget 2023, accusing Ohanaeze of collecting millions of naira to support Atiku Abubakar’s presidential election. When the second round of elections came, all hell broke loose; during these governorship and state House of Assembly elections, what happened was a complete mayhem; no laws, no order and the people who were responsible for maintaining law and order were in the forefront on mangling the election, and upturning peoples mandate. When the poverty in the Northeast was grinding, we were complaining that there was massive poverty in the region that we better did something about it, but nobody in government paid any serious attention. When the Boko Haram started in 2009, we know what has since then been happening in that part of the country. From the Northeast, that mayhem, that illegitimacy that re- fused to accept the legitimacy of the government moved on to the North Central and they are currently in the Northwest, where banditry has been legitimised; anybody can go into the bush and calls himself name, and decides to attack whoever he chooses to attack. People in government have been attacked and some of them have been abducted. Sadly, Atiku has been the mastermind of the rigging of elections in this country from 1999, when he and Obasanjo were with the ticket. If you did that kind of thing, you will not be surprised even if you want to believe what you want to believe, you cannot be surprised if people have mastered what you taught them. Many of the APC members decamped from the PDP. We grew up with some of them, we worked with some of them; we married into their families and they married into our families, so it is not something new. We all know the rig- gers; Atiku is the principal rigger. So, he has no moral basis to complain of being rigged out. Do you see Buhari’s second term differ- ent from the first? On the record, I read where he said that this time around, his government will be an all in- clusive one. That to me is very fundamental because when I started speaking in 2015 about the manner he put together his government, all these boys in the presidency and others who go about collecting money from ministers and others, started attacking me, issuing statements whether I know what governance was all about. Many of them don’t even know the his- tory and the genesis of what they were talking about. When I raised the issue of Amina Zakari they kept quiet; when I raised other issues, they kept quiet. After three years, on the issue of Amina Zakari, they came out to own the statement, they now say that Buhari and Zakari were only related by marriage. If you go and marry somebody’s relation are you not related? His statement is a confirmation that he knows that his government is nepotistic, comprising his relations, in-laws etc. He also said that this time around he is go- ing to be tough and he is going to put people where they belong, so that they can do good job, etc. This is an admission that the people he has in the last four years have not done a good job and to make matter worse, he has lacked the courage to sack them. If you have the pow- er to hire somebody, by implication, you also have the power to fire him. If you give a man a job, and he cannot do it, ask him to go because it is a political appointment, there is no capital punishment. PMB’s handlers say you were so criti- cal of the president because you were frus- trated that he didn’t give you any appoint- ment. True or false? Therefore, this time around when I started with Buhari, another friend, people, especially from the South kept talking, not knowing the relationship between Buhari and I. Well, they can say what they want to say. If I want an ap- pointment, I believe I’m qualified as any other Nigerian living or dead. If you are not a member of a party what makes anybody think that after he won the election that I should go round and say give me an appointment. I’m not that kind of per- son. I don’t believe that even those who are shameless can go and ask a leader of a party to give them appointment when they are not members of the party in the face of thousands of party members who have not been given anything. I’m not a member of his party and I have never attended a single political event organ- ised by him from 2002 when he joined APP until today. Babangida’s security chief, Gusau jailed me; I was detained in Owo, Ondo State for over three months. One can say that Babangida who was the head of the government detained me, it doesn’t matter. However, I survived and I have maintained my integrity and I have been able to talk to anybody; to talk to those in power. They say I’m looking for ap- pointment, what appointment? An Arewa youth leader, Shettima Yeri- ma, in a recent interview, said that Buhari wasn’t the candidate of the North for the 2019 election, and that by 2023, the North will present its own candidate. How will you reconcile this when people are saying for the sake of equity and justice, power should go to South? Shettima is my friend, even though I didn’t read the statement, but let me state my view. This idea of zoning and rotation has been a tragedy for Nigeria because it can deprive Ni- geria of getting a better leader. That being the case, whosoever wants to claim it, let him go. Look at what the Afenifere said that next time it would be a Yoruba person. Their under- standing of rotation is between the North and the Southwest, or Northwest and the South- west. That cannot be. Otherwise, how can you say that we now have a president who is from the Northwest and his deputy, who is from Southwest, and hat next time it will be the turn of the South- west to produce the president of this country. What are we talking about? If you want other Nigerians to vote for you, you better look for other Nigerians and make a choice. Maybe, in 2023, Kanu will come and force all Nigerians to vote for them. Democra- cy is a question of give and take; you vote for me and I vote for you, that was what Michael Okpara used to say. You don’t vote for me and maybe you think that by abusing me on the pages of newspapers that I will vote for you. I will not. If I come back into active politics, it will be because of that. Let us see, for abusing people how they will vote for you. Some of us traditionally, we don’t talk too much, but don’t imagine that we will keep quiet and do your own bidding, it will not happen. 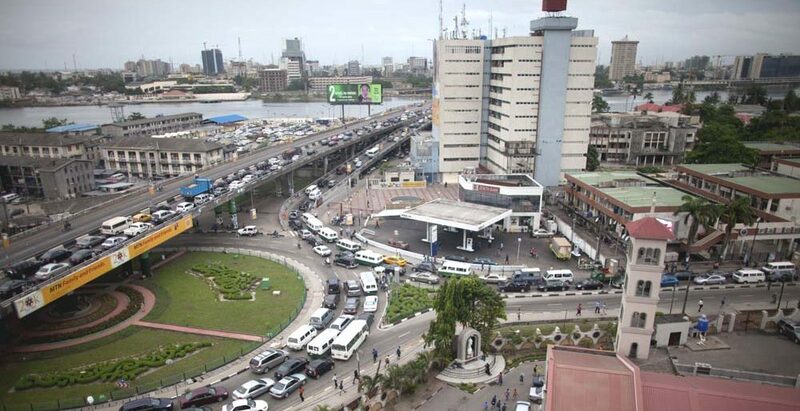 See what is happening now, we have started the second term of Buhari’s administration, but today, people are scrambling for 2023, and the Yoruba are saying that it is their turn. How it’s their turn, I don’t know. We keep on making this mistake of agitation of, ‘it is our turn’ over and over again. Af- ter all, somebody says the classical definition of madness is doing the same thing over and over and expecting a different outcome. Both Buhari and Atiku are from the North, was it wrong if Southeast or South- west supported one of them? It doesn’t matter, but what matters is that there was a candidate who can run the coun- try; is he acceptable to the rest of Nigeria or rather than just an ethnic group? I remember former President Jonathan be- ing persuaded by the Yoruba that the Sovereign National Conference was going to be by ethnic groups, I pointed out to them and I remember that Murtala Nyako also pointed it directly to Jonathan that if you do that it won’t work. Like in Taraba, there are 72 ethnic groups and in Adamawa, there are also 82 ethnic groups, while Yoruba has only one ethnic group, and all of them speak one language and one culture. How do you equate their representation at the Sovereign National Conference with that of 82 from Adamawa and 72 from Taraba? I, B.D. 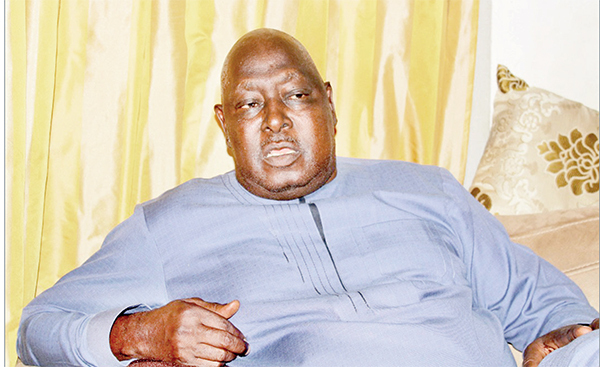 Lawal, joined politics in 2003. I joined politics in the Buhari political structure to contribute my quota and effort towards making Buhari president. In 2003, my goals, my ambitions were not achieved. In 2007, it wasn’t. In 2011, it wasn’t. But in 2015, God gave us what we have always been looking for patiently and doggedly. Now, by the constitution of Nigeria, President Buhari can only be president for two tenures, two terms and by the grace of God, He has made the second tenure possible. Buhari has won the election. So, to that extent, as far as I am concerned, God has been kind to me, He has helped me achieve my ambition in politics.